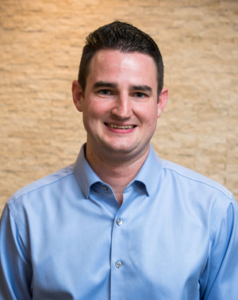 Dr. Travis Whitley is a native of North Carolina and joined Raleigh Periodontics in 2016. He is board certified as a Diplomate of the American Board of Periodontology. He graduated from East Carolina University with honors in 2009 with an undergraduate degree in Chemistry and minor in Business Administration. He earned his D.D.S. degree with honors from the UNC School of Dentistry at Chapel Hill in 2013 where he was selected to join the Omicron Kappa Upsilon national dental honor society. In addition, Dr. Whitley was recognized by the American Academy of Periodontology in 2013 for his outstanding achievement in Periodontics. Dr. Whitley has also co-authored a submitted systematic review on bone grafting for dental implant surgery. In 2016, Dr. Whitley earned his Master of Science as well as his Certificate of Advanced Study in Periodontology at the UNC School of Dentistry at Chapel Hill. His three-year residency emphasized all aspects of implant dentistry, bone and soft tissue grafting, treatment of periodontal disease, and cosmetic surgery. Dr. Whitley has been married to his wife, Kiera, since 2010. Dr. Whitley and Kiera are passionate ECU fans and love cheering on the Pirates! They currently live in Raleigh and enjoy traveling to new places and spending time with family and friends.